Daily surf sessions for each and every surf level! Surf 7 days a week, in Bali! Twice a day our guides take you on a surf trip around the island. 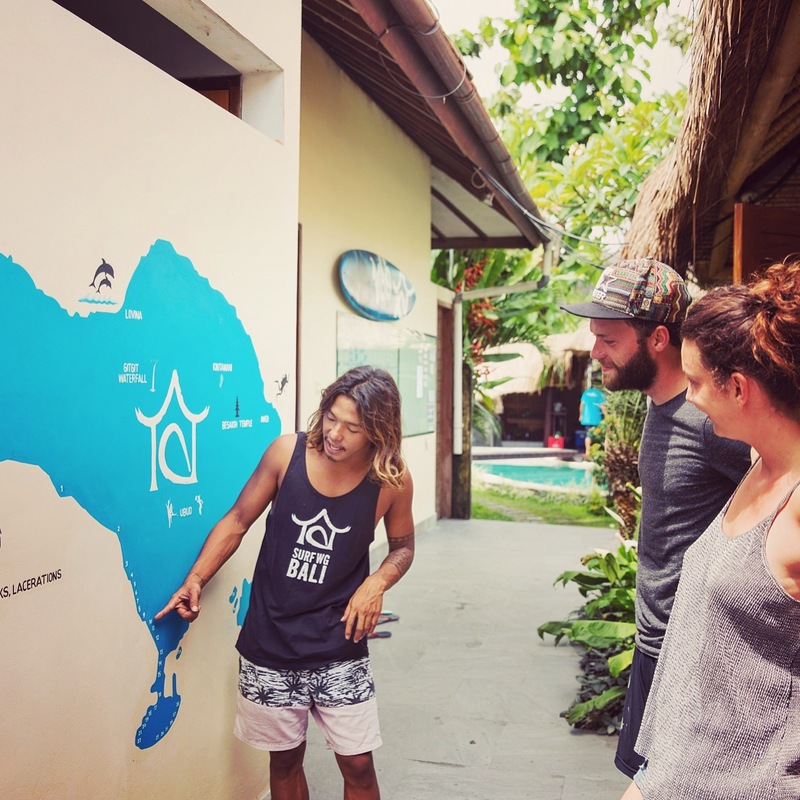 Yeah – get to know all those beautiful surf spots on Bali! Depending on tides, swell and wind conditions, the spots are selected by our experienced professionals the day before you go. You should register anew every day on our session board for your favorite spot. You will always be accompanied by our guides and be driven to the spots – together with a small group of maximum six people. Our guides know the island, drive safely and will give you a competent spot-instruction. There is always someone in the water with you. You’ll get tips and help to bring your surfing to the next level. In order to get you there even faster, different surf sessions are filmed every day by our camera men. You can check the session board if you wanna know which session the camera will be filming each day. Twice a week a professional video analysis takes place. This video analysis helps you to recognize mistakes and improve your surfing skills. We really want you to become the best possible surfer – full of passion and joy. Everything you got to do is grab your surfboard and surf – we’ll take care of everything else! You chose your favorite surf session the evening before going there. Just sign in your name at our session-board. Our surf guides will be happy to advise you! Through this system, you have the choice between 10 different spots every day, and you can get to know a lot of different places and waves. Even for beginners there’s a lot to discover – Bali offers more than 60 surf spots!